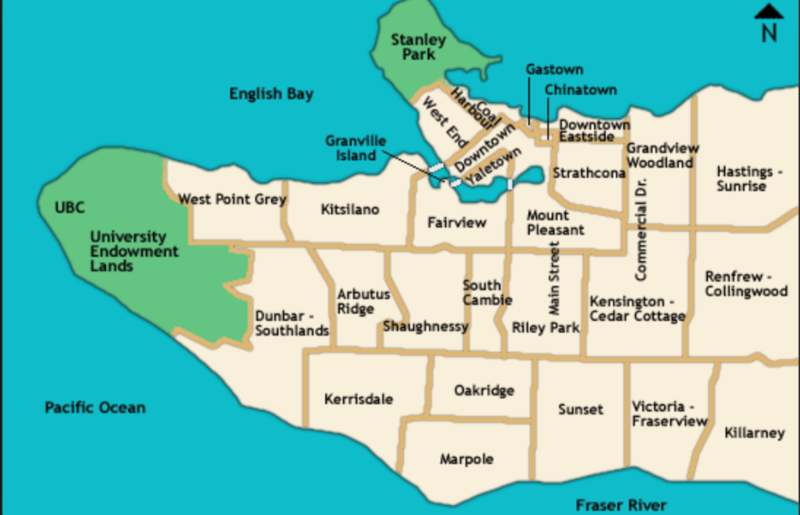 Vancouver, B.C, is the largest city in western Canada with a population over 600,000 and 2.4 million in the metro area. Incorporated in 1886, it replaced and absorbed Gastown which was established years earlier when “Gassy Jack” opened the first saloon in 1867. I first visited in 2010 on a girlfriends trip to Seattle, Victoria, and Vancouver, but we didn’t really explore Vancouver except for a long walk through Stanley Park. This time I was determined to see as much as possible in less than 2 days. We wanted to stay downtown within walking distance of the cruise-ship terminal and the city attractions. You don’t really know whether you found the perfect place until you get there, but this Victorian mansion on a shady residential street in the middle of the city hit the mark. Our B&B, the Barclay House, in the West End neighborhood was close enough to the sights to walk almost everywhere. That said, we noticed that no matter which direction we walked, it seemed to be uphill both ways. You can orient yourself by the map below. 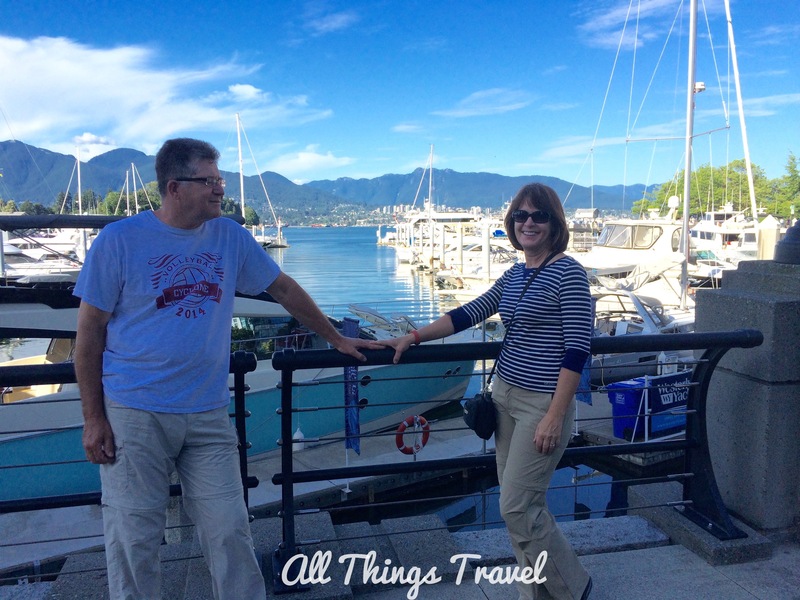 Our B&B was in the West End just south of Stanley Park and west of Coal Harbour. 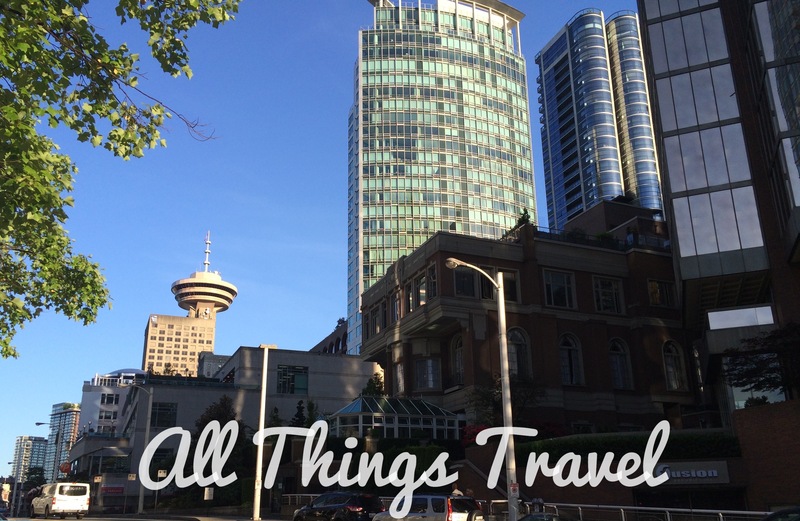 We easily walked (uphill) to Coal Harbour, Downtown, Stanley Park, Gastown, and Chinatown and back (uphill). Sheryl arrived first and explored the area so when Jim and I got there she led us directly over to Coal Harbour Walkway. 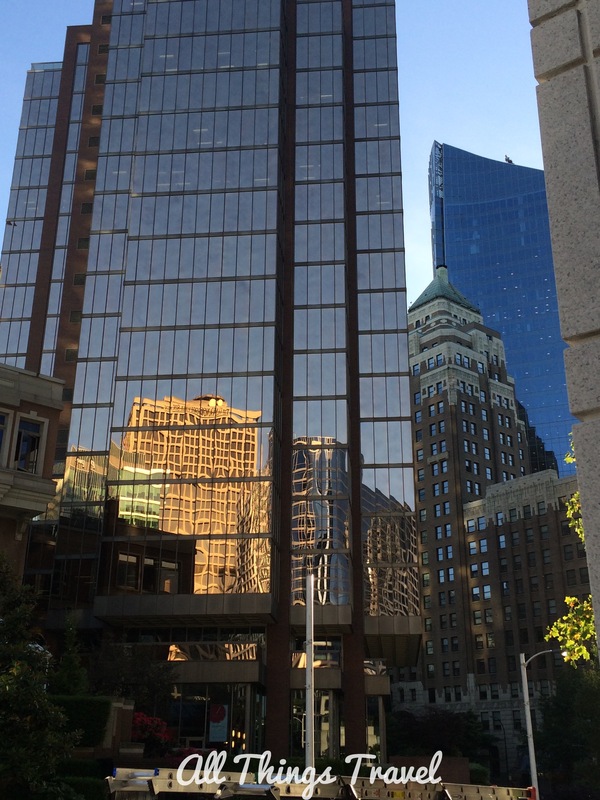 Coal Harbour was originally an industrial area that has been transformed into an upscale neighborhood with many high-rise condos, a marina, plenty of green space, shops, restaurants, and a lovely walkway along the waterfront stretching from Stanley Park to Gastown. 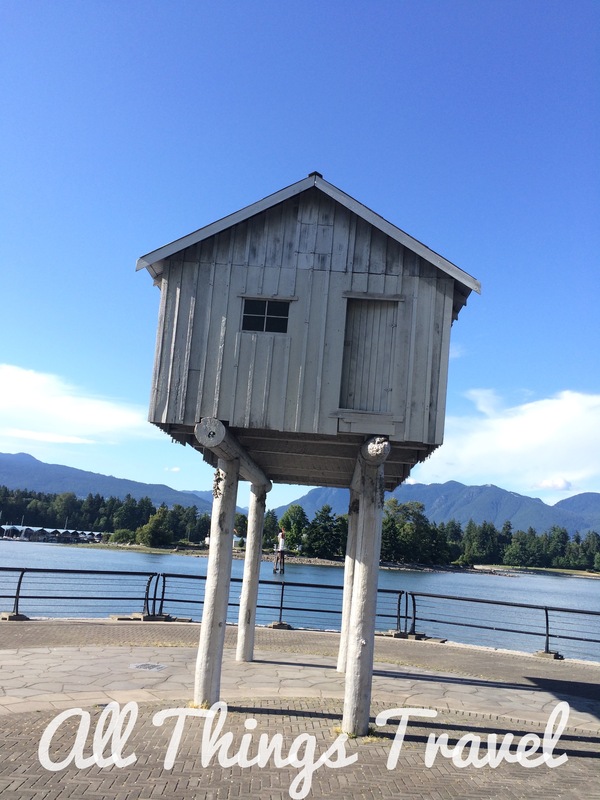 I was surprised to see a little house on stilts in the middle of the walkway. The local artist, Liz Magor, created and gifted the sculpture, LightShed, to the city in 2004. It’s similar to the sheds that lined the harbor years ago where fisherman repaired their boats. 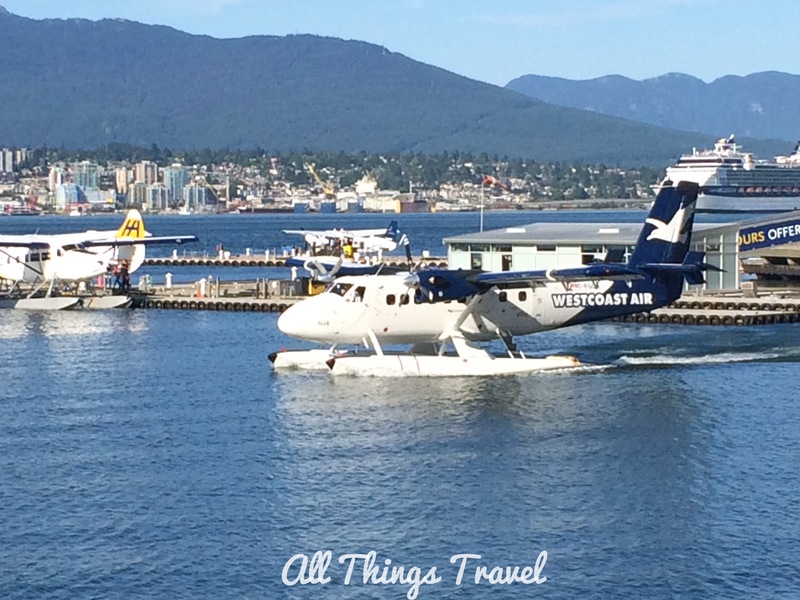 We watched seaplanes take off and land loaded with tourists seeing the sights from the air. Keeping our feet firmly on the ground, we ambled as far as the Vancouver Convention Center and Canada Place, reading signs about the history of the area along the way. 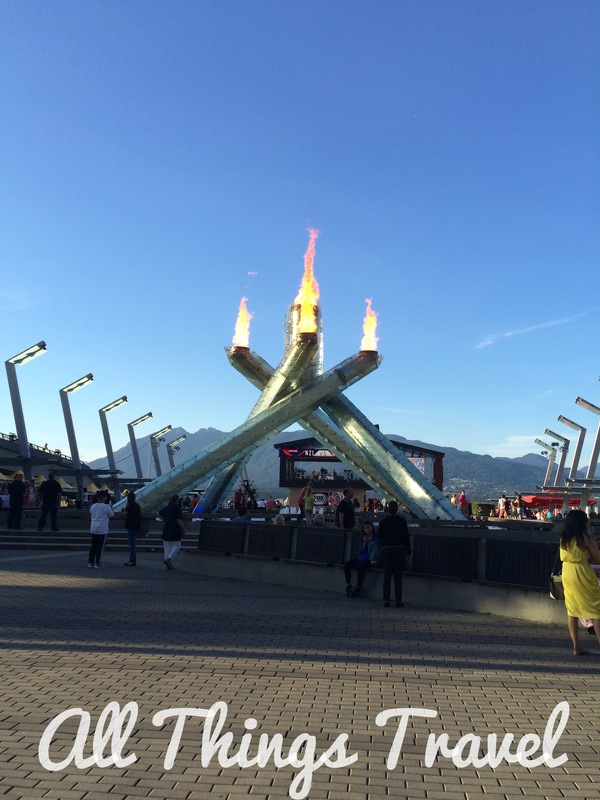 Outside the Convention Center, the Olympic Cauldron on Jack Poole Plaza is a permanent reminder of the 2010 Olympics held in Vancouver. It’s still lit on special occasions today. 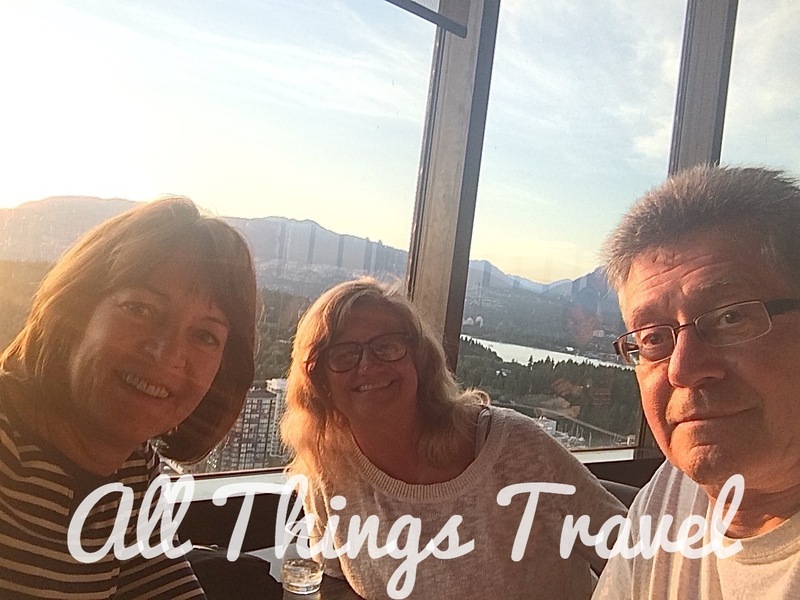 From there it was back to the Empire Landmark Hotel located within a couple blocks of our B&B for a nightcap while we enjoyed the 360 degrees panorama of Vancouver from Cloud Nine, the revolving restaurant on the 42nd floor. Cloud Nine welcomed us graciously when we explained we just wanted to enjoy a drink and the view. This was probably my husband’s number 1 favorite sight in all of Vancouver. (Next time I’ll share my favorite sight.) The full rotation took about 1.25 hours while we enjoyed the view in every direction. What a relaxing way to end a day of travel and sightseeing and orient ourselves to the City of Glass with the mountains in the background. 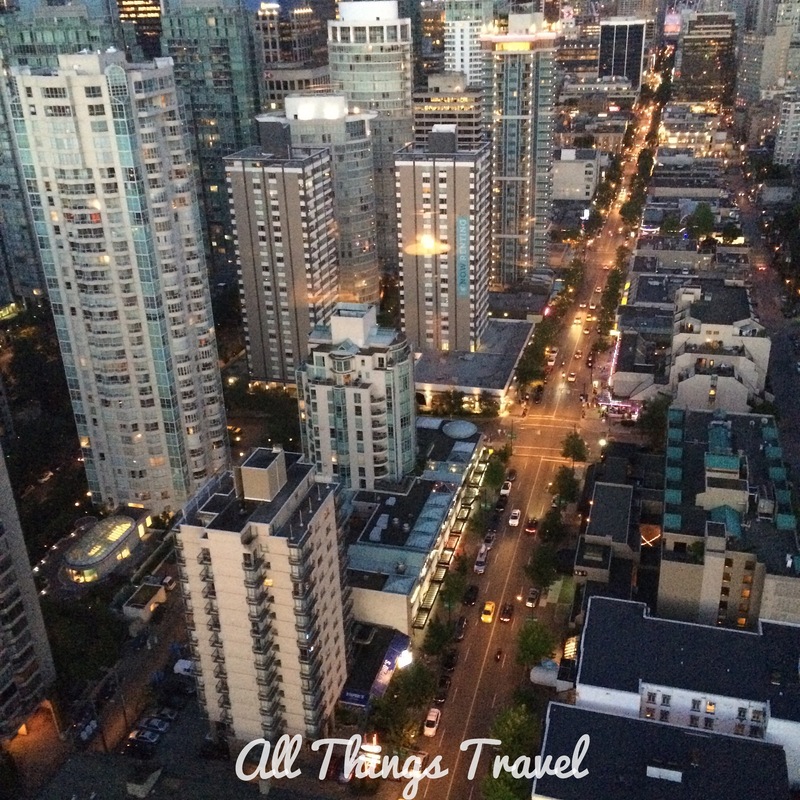 Looks like a beautiful city, the idea of dinner in a revolving restaurant sounds very cool too!! 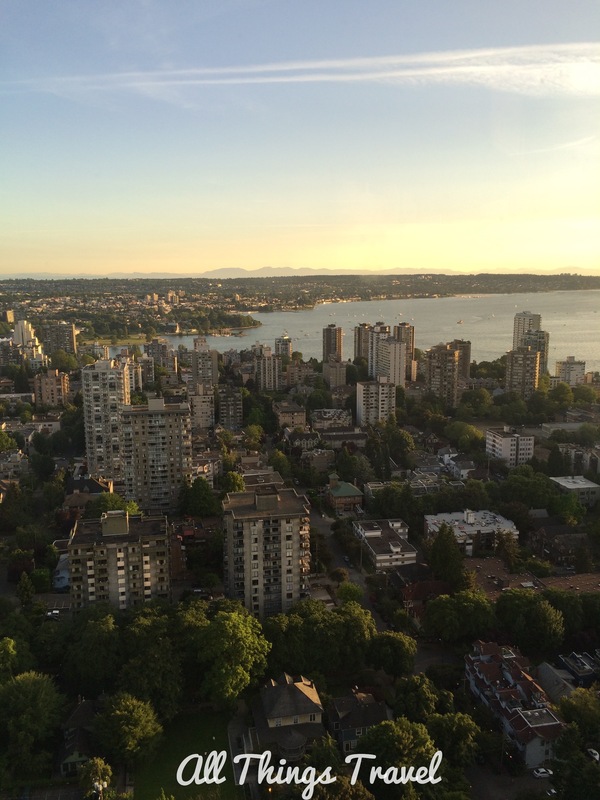 Vancouver is the 3rd most livable city in the world for 2015 and I can see why. It’s also very expensive, however. Beautiful! 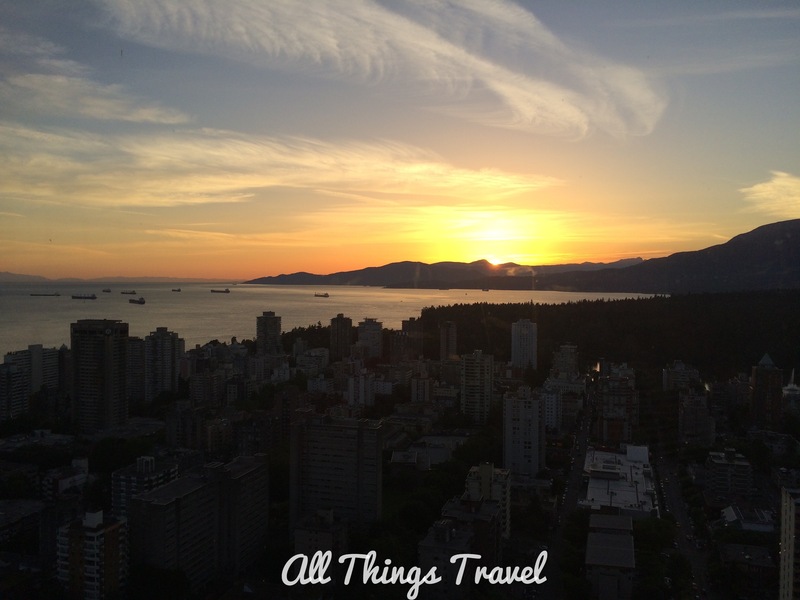 I’ve heard lots of good things about Vancouver.